If you’re planning a trip to Ireland in the near future, don’t settle and book an ordinary hotel. 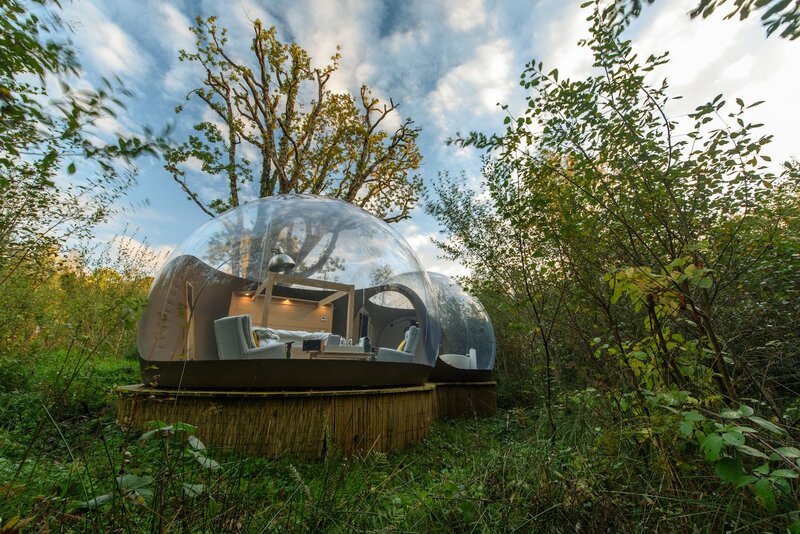 Rather, check out these awe-inspiring Bubble Domes first. 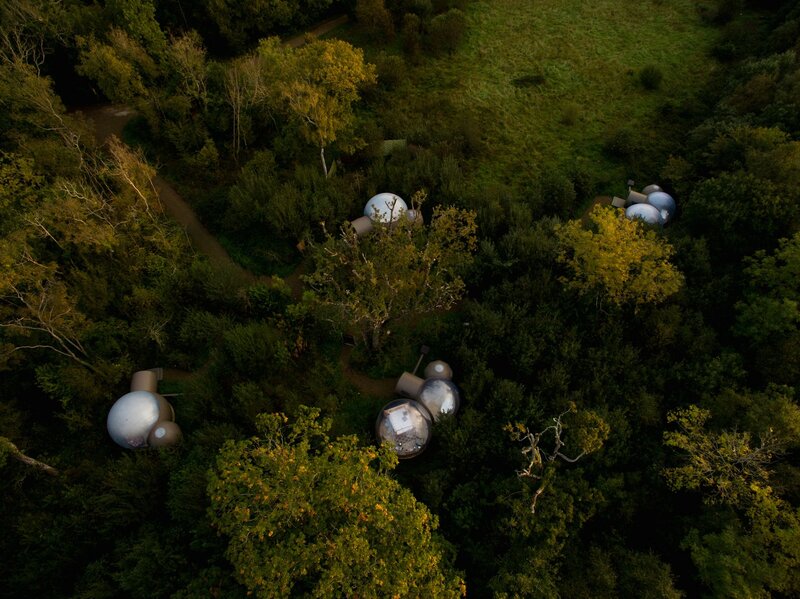 The unique abodes are located at the Finn Lough, in Northern Ireland, and are guaranteed to provide an unforgettable experience. The family-run resort is located on a 45-acre peninsula, within walking distance of a spa, restaurant, and bar. Each dome features Scandinavian-inspired decor. 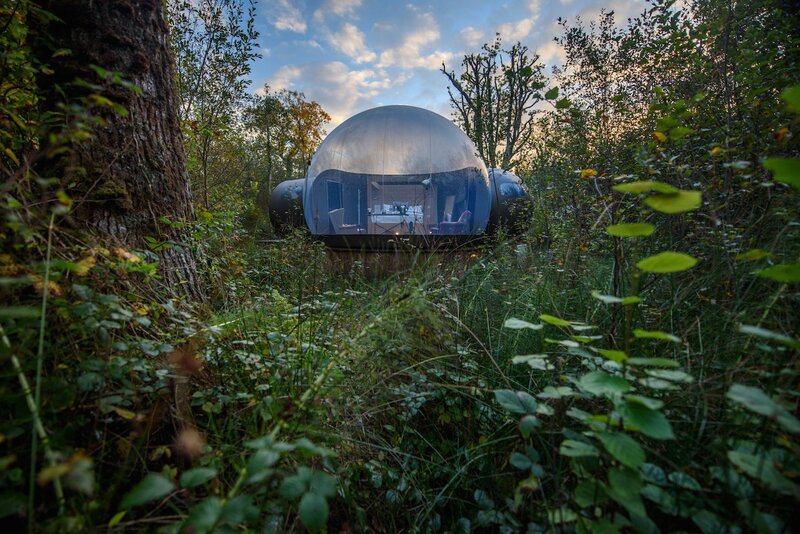 Because Ireland can be cold, even the basic domes have underfloor heating and heated mattresses. Guests are welcome to treat themselves to Nespresso coffee machines, complimentary breakfast and snacks, and comfortable robes and slippers. 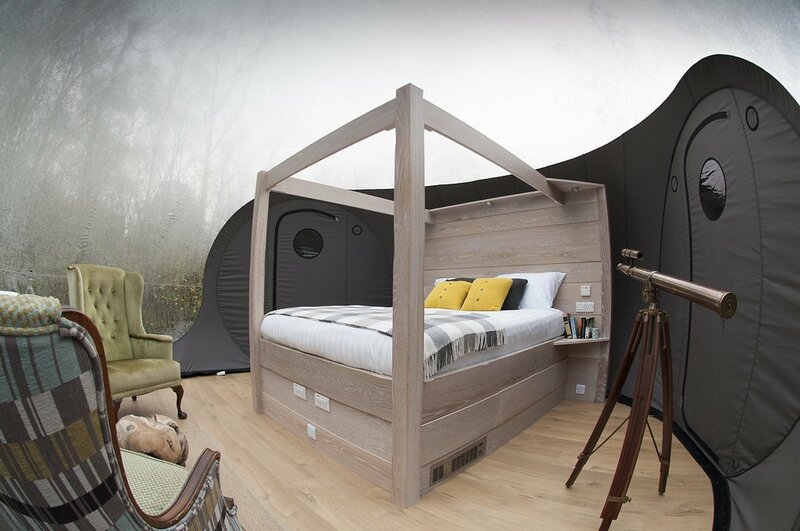 The standard Forest Bubble Dome and the Premium Bubble Dome both sleep two in a four-poster bed and have an ensuite bathroom. 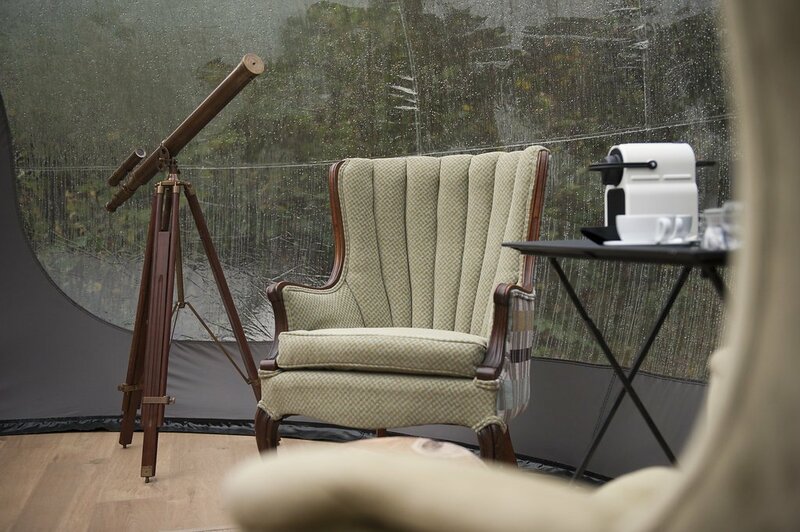 The larger, premium domes include a soaking tub and other luxurious furnishings. The Bubble Domes are named so because they offer an unobstructed 180-degree visibility. Don’t worry — you and your beloved will still have privacy. The domes were intentionally set apart; each has its own private path and gate. 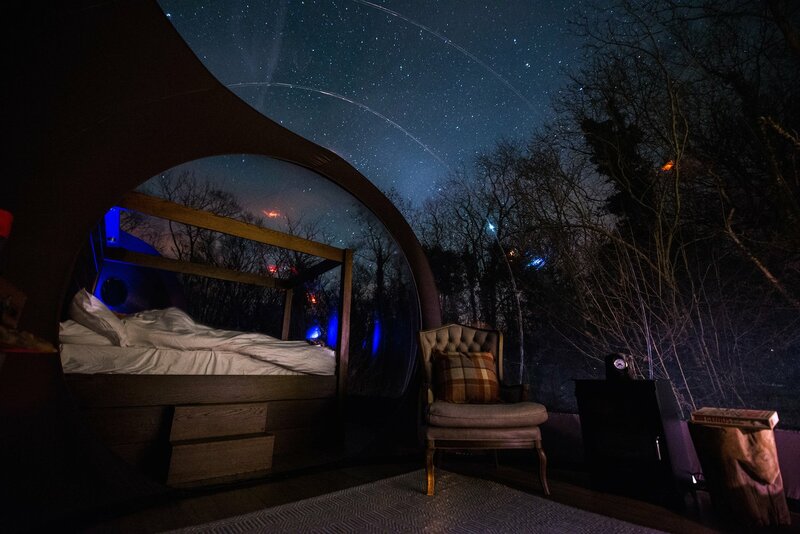 As described by Dwell, the domes were designed for “digital detox.” There is no Wi-Fi or cell service. However, the structures are equipped with electricity and power sockets. During the day, guests can enjoy a variety of outdoor activities, such as kayaking and picnicking. At night, they can toast marshmallows by the fire pit and snuggle under the stars. The Bubble Domes were constructed by the international collective Dome Experience. The abodes can be installed and operational within four to six weeks at sites where utility lines already exist. There are also options to run the domes on off-grid power. 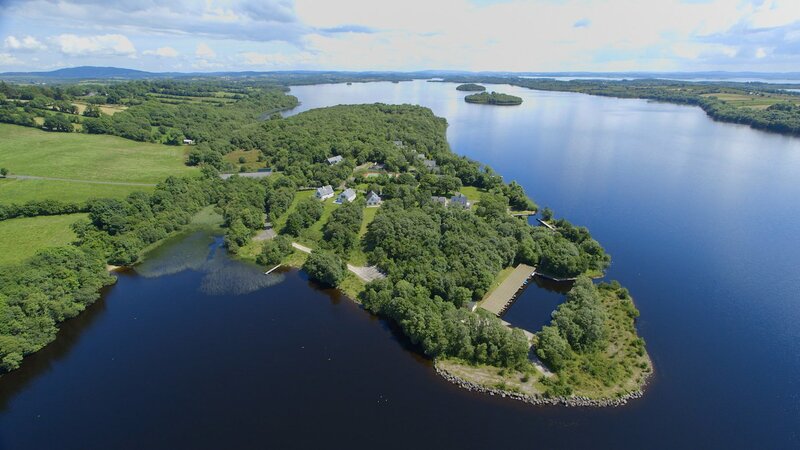 A one-night stay at Finn Lough starts at £245 ($345) a night. Learn more here.